We all deserve a treat, let alone a guilt free one! These are hands down the best Sweet Potato Paleo Cinnamon Rolls I’ve ever eaten and are definitely worth the work. 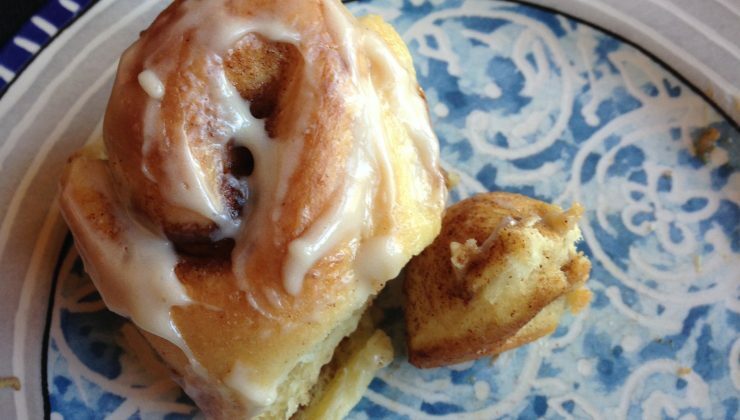 Still significantly easier than the traditional cinnamon rolls, without the kneading and rising and kneading. Naturally, I wanted to expand my recipe and use up the sweet potatoes I had. Deciding to bake those up at 350, puree them (using my immersion blender, but mashing works great too) and mix them in with all the wet ingredients. They turned out so tasty! Below is my altered recipe, but for those who want a more traditional take, you can find the original recipe at Paleo Grubs. These are the perfect recipes for those who worry about allergies or sensitivities. I hope you all enjoy! 1. Whisk together the coconut oil, egg, honey, sweet potato and vanilla in a medium bowl. Add the almond flour, coconut flour, baking soda, arrowroot powder and salt. Stir well to combine. 2. Transfer the dough onto a sheet of wax paper or parchment paper. Cover with another sheet of wax/parchment paper and roll out into a long rectangle. Remove the top sheet of wax paper. 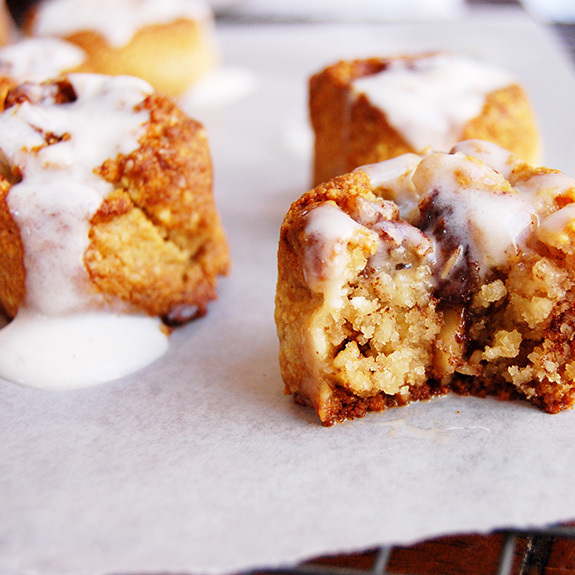 Drizzle the dough with honey/brown sugar and sprinkle with cinnamon. Top with the chopped walnuts if wanted. 3. Use the wax paper to roll the dough into a log. Holding down one side of the paper as you roll the dough forming a log. Place the log in the freezer to harden for 15 minutes. 4. Preheat the oven to 325 degrees F. Slice the log into individual pieces, about 2 or 3 inches thick. Place onto a baking sheet. Bake for 15-20 minutes or until golden. If you used bigger sweet potatoes, they will take longer to cook. 5. Meanwhile, make the glaze by stirring together the honey, coconut cream, and cinnamon. Once the rolls are golden, remove from the oven and drizzle with glaze.